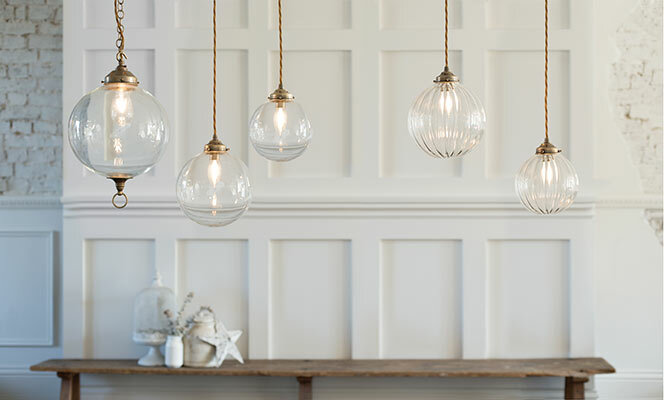 Add some charm - using glass pendants is a great way to bring a bright fresh look to your home. This handsome, individually hand made clear glass pendant light is made in a choice of finishes. 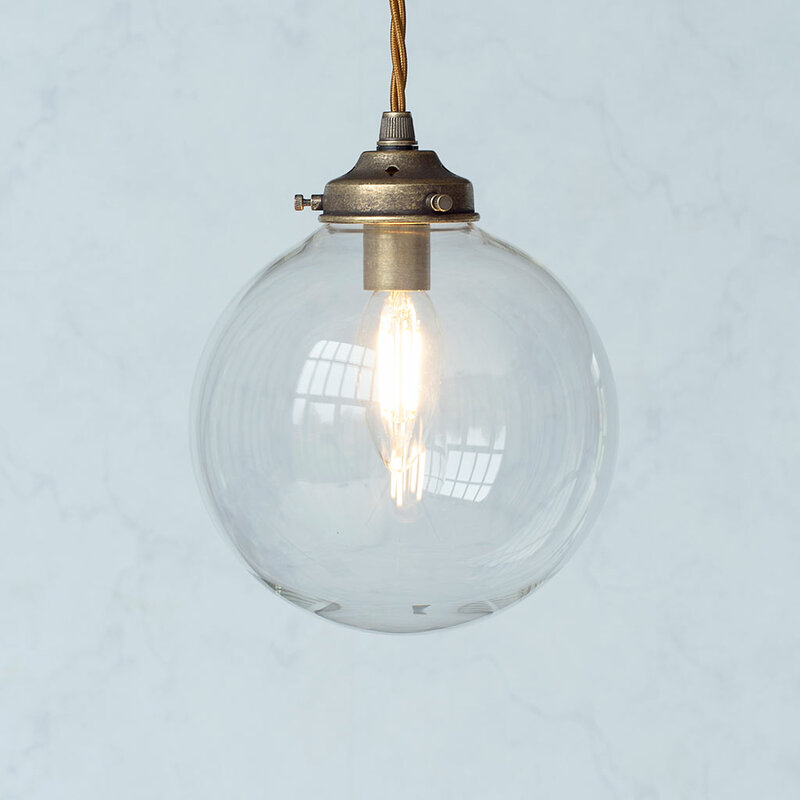 Smaller in size than some of our other glass pendants, it would fit beautifully in any home; whether in the bedroom, dining room, hallway, landing or living room. 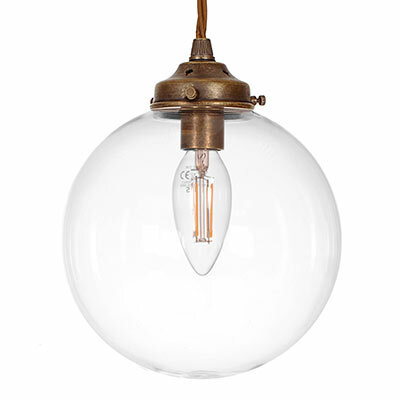 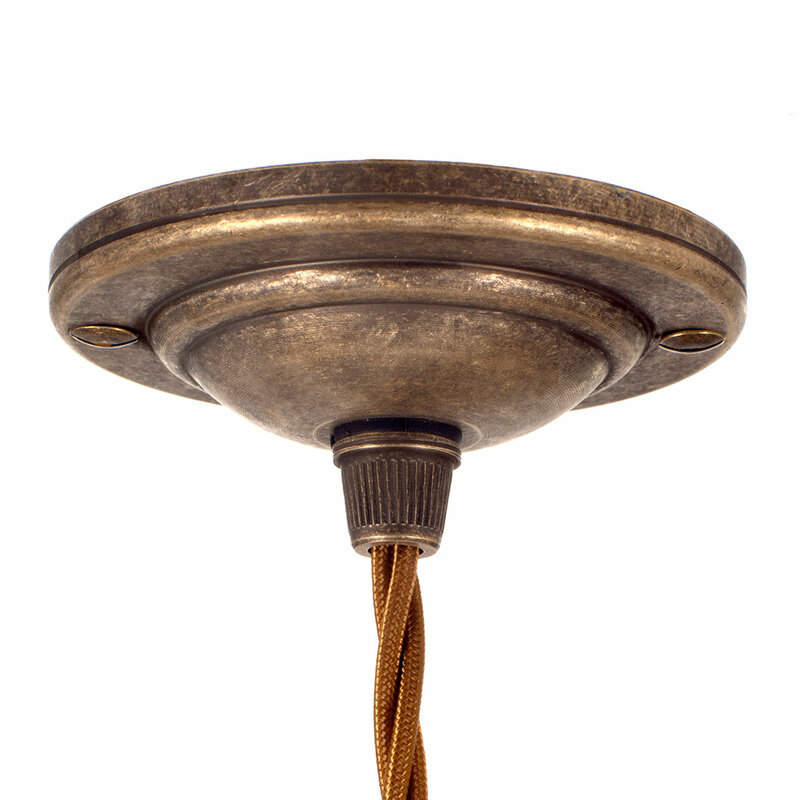 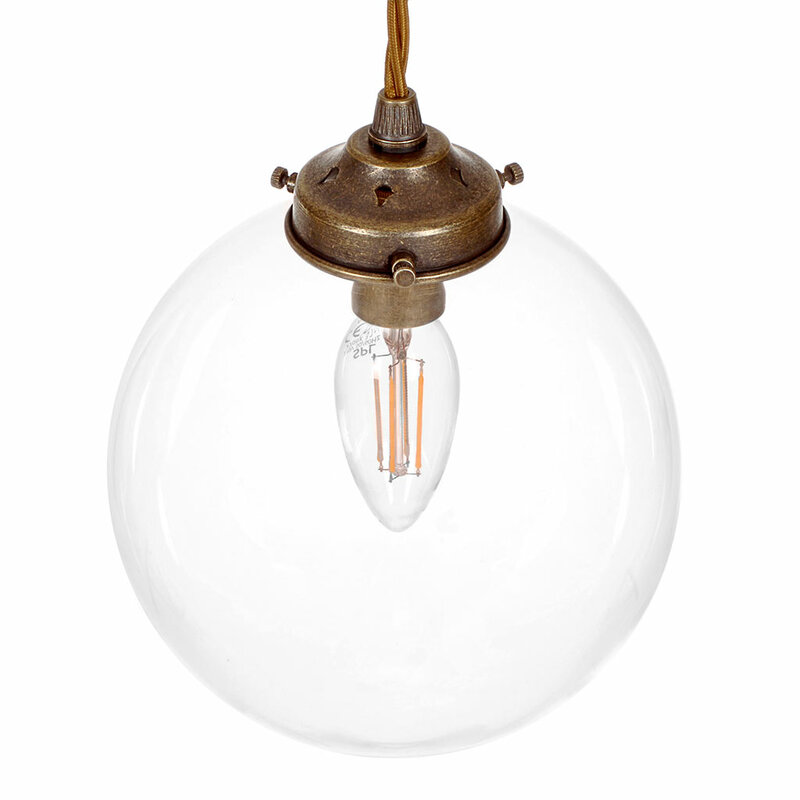 The glass is beautifully offsett by the antiqued brass ceiling fitting. Please keep an eye out for other gorgeous glass lights in our range! What a gorgeous light. 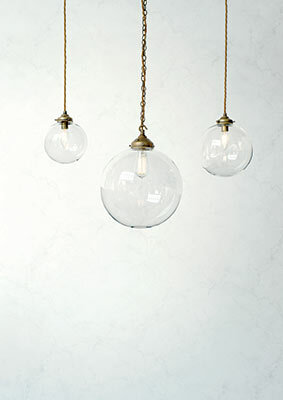 We went to the showroom and it was hard to pick the right one as they were so stunning. 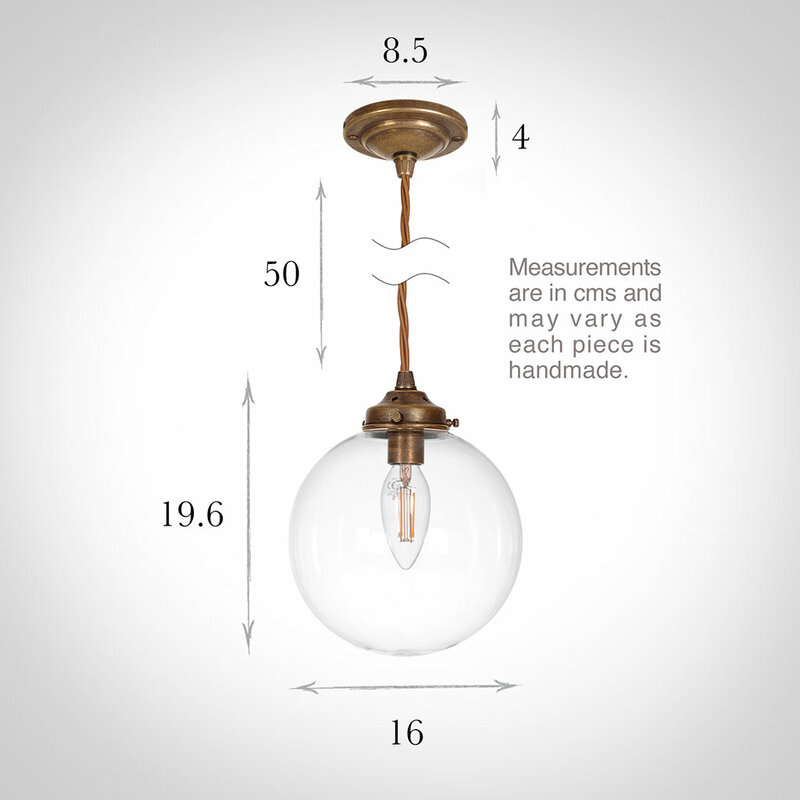 Very happy with it and takes pride of place in our hallway.